Only seems to effect pak64, although I haven't looked at any busy maps in other paks. I don't know if it's just the shown vehicles this applies to, they seemed the most common though. Found when convoys are created normally in single player, also found when logging onto multiplayer servers (a lot of above pictures found on entropy C server). Those are usually engines aligned worngly and thus should be pak specific. I will check it. 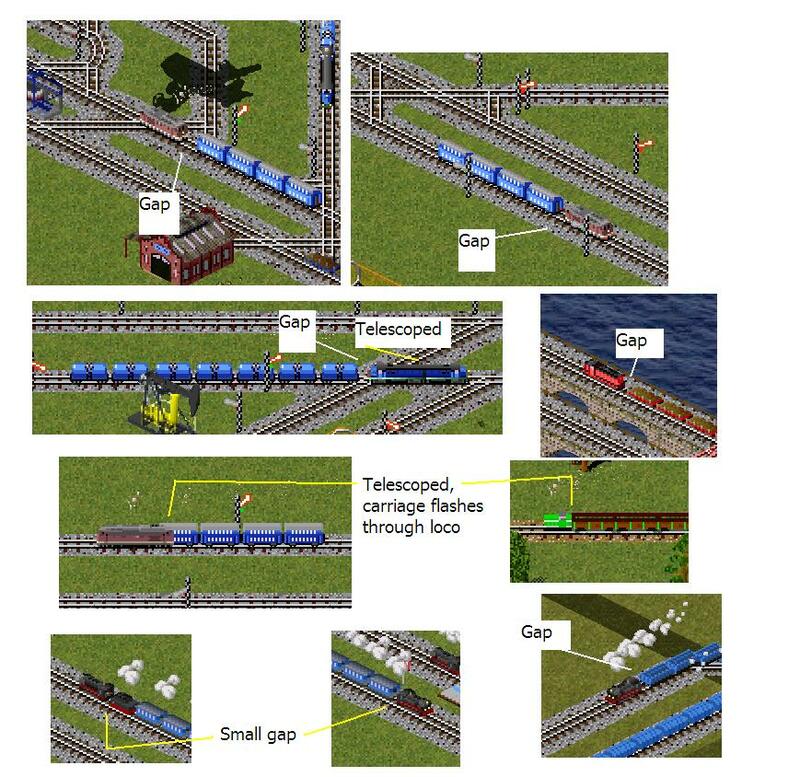 I have seen gaps suddenly appearing in some cases, but they disappear the next time the train turns around. The BR234 is a chronic misalignment I've mentioned earlier. My suggestion to allow multiple X2(000) sets has also caused an overlap bug when moving horizontally relative to the screen (diagonally relative to tiles). As the ends are shorter than the coaches (according to Wikipedia), compressing their graphics might be the right thing. I partly corrected this wrong alignment with using of additional alignment coded in dat file (offsets) - but it is not perfect. Yes those problems must we go! a length=7,5 vehicle and assign it as length=8 in the dat file = gap. length and alignment but not with vehicle that have other length definitions. Most difficult is the alignment with four views (which also only works with lenght=8) maybe I did a mistake, since Ludmilla is lenght 9 I think.